← Who Is Steven Spielberg’s Best Protégé? The careers of Christopher Nolan and M. Night Shyamalan are on inverted trajectories. The greater Nolan rises, the lower Shyamalan falls. Their films have a surprising amount in common with each other, in terms of subject matter, but Nolan just seems to have more success at telling those stories than Shyamalan. Let’s look at how Nolan and Shyamalan compare by going through each of their films and discovering their surprising similarities. In 1997, Nolan made a short film called Doodlebug. The following year, he released the aptly titled Following on a budget of just $7,000. The film earned back several times more than its cost, but it didn’t turn many heads. Shyamalan’s first film was 1992’s Praying with Anger, followed by 1998’s Wide Awake. Neither of these films made much of a dent in the box office. The third film these filmmakers made was the one that really got them noticed. Nolan’s Memento put a whole new spin on psychological thrillers in 2000. The film earned a modest $25 million in the U.S., but it turned a good profit. 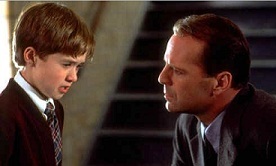 Shyamalan’s best-known film, The Sixth Sense, amazed audiences with its now-classic twist ending. It became his biggest hit so far and launched his career as the next Rod Serling. The only film Christopher Nolan directed that he didn’t also write (so far) is 2002’s Insomnia. I’ve heard the film is excellent, though I haven’t seen it yet. The one film that Shyamalan has made based on anything other than an original story is The Last Airbender. This film suffered from several problems: It couldn’t be called Avatar: The Last Airbender because James Cameron borrowed the name Avatar for his film, which came out shortly before this one. Also, the story and character changes turned off fans of the cartoon show the film is based on. It was a big blow for Shyamalan. Five years after the success of Memento, Nolan directed the big-budget reboot of the popular Batman franchise, Batman Begins. The film was generally liked, but it didn’t really break any records at the box office. The same can be said of Shyamalan’s 2000 film, Unbreakable. It basically rethought the entire structure of a superhero movie and took some bold moves in the process. It’s rumored that Shyamalan had planned a trilogy of Unbreakable films, but the first film underperformed so he scrapped the idea. Who knows, maybe it would have rivaled Nolan’s amazing Dark Knight Trilogy. Nolan tried his hand at making a movie with a twist ending with The Prestige in 2006. Personally, I love that film, and I think the nonlinear way in which the story is told heightens the tension to a fever point until the big reveal is made at the end. It’s a perfect magic show. Signs is Shyamalan’s last fairly undisputed great movie. It, too, employs a nonlinear storytelling technique by flashing back to a pivotal moment in the main character’s life. At the end, everything finally comes together in a surprising and effective way. 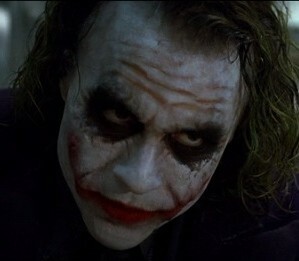 The Dark Knight is Nolan’s Sixth Sense. It became a runaway success and garnered numerous awards and praise, launching him into the same tier as other greats like Steven Spielberg and James Cameron. The film has an incredible ending in which Batman and Commissioner Gordon agree to withhold the truth from the citizens of Gotham City in order to preserve the peace. The Village is a challenging film that I find quite good, though I understand why others may not agree. Its ending involves a group of leaders agreeing to continue withholding the true nature of their village from their fellow villagers to preserve their peace. Both of these films come to the same morally ambiguous conclusion, giving viewers something to think about. 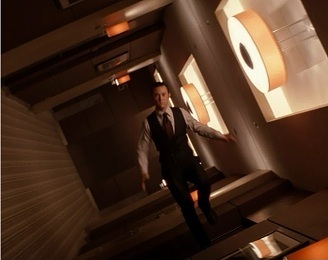 Nolan’s Inception came out at just the right time in 2010. It was guaranteed to do well as the follow-up to his phenomenal Dark Knight, and it was such a mind-bending film that it prevented him from being pigeonholed as just a comic-book movie director. He has many more ideas and worlds to explore. The film centers on people who invade dreams. Shyamalan’s Lady in the Water puts people to sleep. The 2006 film was a step backward for the talented filmmaker. Inspired by a bedtime story Shyamalan told his children, the film is uneven and off-putting. The worst part of the movie is the writer/director’s decision to insert himself in the film as a visionary writer whose work is destined to change the world. Nolan, on the other hand, was too busy creating visionary films to bother labeling himself thus. 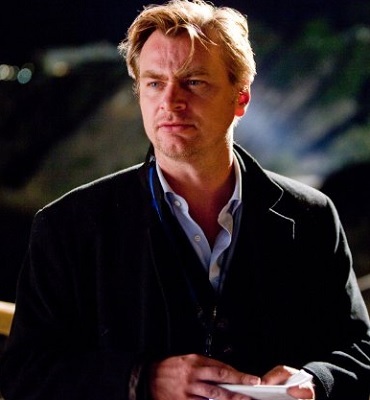 Nolan completed his Dark Knight Trilogy in 2012 with The Dark Knight Rises. It shows how an entire city falls apart when a group of terrorists take over and spread anarchy in their wake. I’ve heard some people call it an allegory about the dangers of the Occupy Wall Street movement. If that’s the case then it’s Nolan’s most political movie. In 2008, Shyamalan released The Happening, a cautionary tale about the deadly consequences of destroying the environment. Unfortunately, the movie was laughably bad so its environmental message was about as effective as the one in The Day After Tomorrow. Nolan is currently working on his next film, called Interstellar. This is his first science-fiction film. No one knows anything about its plot or if it will be as great as his other films, so I’ll reserve judgment for now. Shyamalan came out with his first sci-fi film this year. It’s called After Earth and I’ve heard mixed things about it. Apparently, it’s better than critics gave it credit for, but it’s not as good as his earlier work. He aimed for the stars but still managed to crash and burn. The future is bright for Nolan, but Shyamalan’s future as a filmmaker is in limbo right now. He’ll have to reinvent himself or do something really special next time in order to save his career. I hope he does. He’s definitely got talent. There’s room enough for two creative writer/directors in Hollywood. This entry was posted in Random Stuff and tagged batman, batman begins, christopher nolan, comic books, dark knight rises, directors, inception, m night shyamalan, movies, science fiction, sequels, the dark knight, the sixth sense. Bookmark the permalink. Great post. Hopefully Shaymalan can pull himself out of the gutter. Thank you very much. I hope so, too. According to IMDb, his next project is directing the pilot of a new TV show. Maybe he can get back to his roots telling a story on a smaller scale than he’s been trying recently. Ooh fascinating comparison. Can’t wait for Interstellar. Despite the backlash The Village really hits the spot for me, it’s a beautiful film. Thank you very much. I know what you mean about The Village. Some friends of mine showed it to me years back and they prefaced it by saying it’s a movie about ideas and choices more than actions. So that’s how I approached it. It took me more than one viewing to really understand the depth of the characters and appreciate how the story unfolds. Definitely a misunderstood film. I’m loving your series on bad movies, by the way. Very creative. I really love the Village for the main characters, their old-fashioned purity and genuineness. Not that I want to live in a world like that though. I agree. Completely rejecting modern society is really extreme, no matter what bad things happened to them to make them think there was no other choice. I’m happy living in the present. Lovely blog post. I’m a big fan of nolan, the only film im yet to see is insomia as well, something is telling me that i wont like it. Ever since M night ruined avatar for me, i don’t go anywhere near his stuff. Interstellar was fantastic, although a slow burner as our expection for nolan’s work is at a rediculous point atm. P.s The Nolan, Zimmer combo is immense. Yet all that really makes nolan’s original films “better” than MNS’s is the elaboration of plots and special effects that mask the pseudo intellectual, pseudoscientific, and supernatural nonsense that they have in common at the heart of each film.